There is no better way to celebrate the end of a long work week (or school week) than stuffing your face with some delicious comfort food–especially if it’s Belgian! 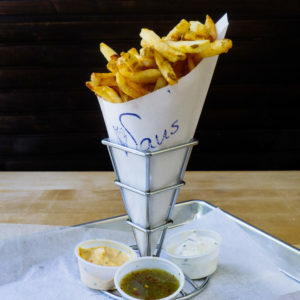 With their famous hand-cut fries and over 15 unique sauces to choose from, Saus will certainly have you screaming FriYAY! Their menu includes everything from poutine to savory salads, and you’ll love enjoying their delectable dessert waffles and wide selection of beer. Grab some fries and enjoy a leisurely Friday night walk around a historic part of Boston. 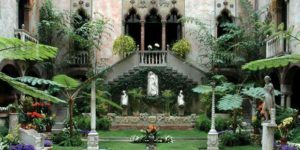 The Isabella Stewart Gardner Museum is a unique little Boston treasure. Breath-taking gardens and Isabella’s own collection of artwork from across the globe makes this museum anything but ordinary. Doors open at 11am, so you can still enjoy a sleepy Saturday morning. And for a wacky little twist? Admission is FREE for anyone named Isabella! 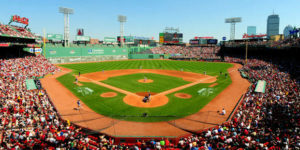 If sports are more of your vibe, Fenway Park is an obvious sight to see. Fenway has been the home to the Boston Red Sox since 1912, making it the oldest major league baseball stadium in use today! Tours run multiple times each Saturday, and tickets can be found here. It has even been confirmed that Fenway Park can be enjoyed by a Yankee fan (we would know). 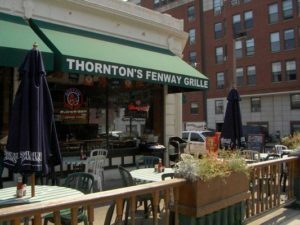 Make sure you don’t get hangry by checking out Thornton’s Fenway Grille for some lunch (or brunch) action. They have crazy options available, so anyone in your group will be able to find something they’ll love. Something we love? Creamy ice cream shakes that are sure to help cool you off in the summer heat. 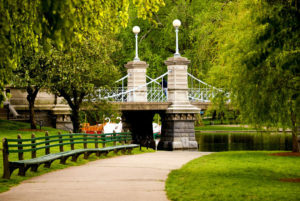 If you’ve wound up with a food baby and a craving for sunlight, make your way to the Boston Public Garden to walk around and soak up some sun. This area is a little escape from the hustle and bustle of the Boston streets, and it just happens to be a swan sanctuary–swan boats, that is! Breathe in the fresh air and relax before your exciting Saturday night. Primark and Macy’s and Marshalls, oh my! 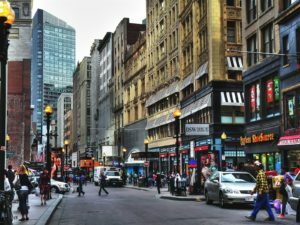 Downtown Crossing is the place to be if you want to update your wardrobe or even upgrade your phone. With tons of stores to choose from, you’ll be able to cross your shopping needs off of your weekend to-do list. Maybe you’ll even snag an outfit to wear for the evening. It’s all in the name with Fajitas & ‘Ritas. Add a fun, colorful atmosphere to the delicious food, and you get a killer place to start your Saturday evening. Prices are extremely reasonable, so you can see why college students love to frequent out this spot. Lines can be long, so be sure to beat the crowd! Boston is known for its exquisite seafood, so take advantage! Luke’s Lobster in Downtown Crossing is where you can find fresh food from the sea that is absolutely delish. 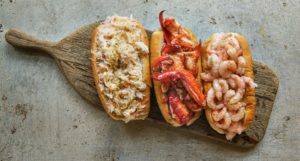 Favorites include their New England clam chowder and famous lobster roll. We know you’ll simply love this shack! 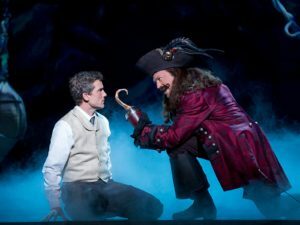 Many people can relate to Peter Pan’s phobia of growing up, and Finding Neverland tells the tale of how this lovable character came to be. You can get your tickets to this award-winning musical through the TodayTix app and website, with tickets from $44. Dreams do come true, so put on a little bit of pixie dust and fly on over to the Boston Opera House for a great show. And all that jazz… literally! The Beehive offers one of the best brunches in Boston, especially since they spice things up with a dash of live jazz musicians every Sunday morning. Make sure to reserve a table beforehand to guarantee that you’ll get your fill of tunes and toast. 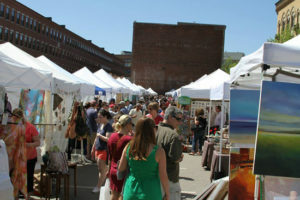 Celebrate local art and cuisine by visiting the SoWa Open Market, open from 10am to 4pm on Sundays. SoWa even has a vintage market, where you could find a pair of vintage Levi’s or an antique vase to die for! Lots of diversity and passionate artisans create an atmosphere that is very uniquely Boston. Supporting the community and buying quality items is certainly a win-win in our eyes. Got Tea? Boston is a city that was extremely important in the Revolutionary War, so get schooled this Sunday at the Boston Tea Party Ships & Museum. 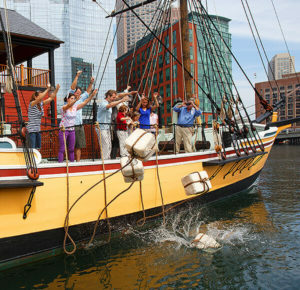 Tours include reenacting the famous Boston Tea party by throwing tea into the Harbor, meaning this isn’t just your ordinary history lesson. Get your tickets and get your tea kettles brewing! Brunch can be pretty filling, so you may only crave a small treat later in the day. 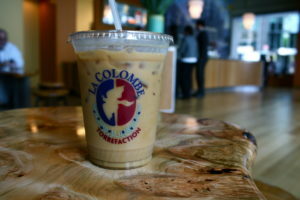 La Colombe Coffee can give you an afternoon coffee and snack pick-me-up, and luckily they have a Boston location! They can be found by South Station, making your commute to and from picking up coffee as easy as pie. Did you even have a good weekend if you didn’t Instagram about it? We don’t think so. 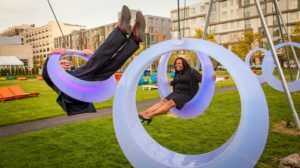 If you’re pining for a perfect post by Sunday evening, hop on the Silver Line (or on a bike) and get yourself to The Lawn On D. A summer photoshoot favorite, you’ll be sure to get an gram-worthy shot while having fun with friends before the weekend ends. Check here to make sure you can access the park before you go! Ready, set, gram! What is your go-to thing to do in Boston on a summer weekend? Let us know on Twitter and Instagram!